Authorities are warning residents against an online dance challenge that has taken social media by storm. In the last three days, the hashtag #Kiki was trending on social networking sites that mimics Canadian singer Drake’s popular music video for “In My Feelings”. The idea behind the Kiki Challenge is to leave the car while its slowly moving, open the door and dance outside while the vehicle is still moving and driving itself. Lt Col Saeed Obaid Bin Eran, Director of Traffic and Patrols Department at Umm Al Quwain Police, said that carrying out the dance can lead to a Dh2,000 fine, 23 black points and the vehicle impounded for 60 days. Col Saeed Bin Aran, head of traffic and patrols at Um Al Quwain police, warned motorists against driving their vehicles in a “Kiki” manner and endanger their lives and the lives of others. 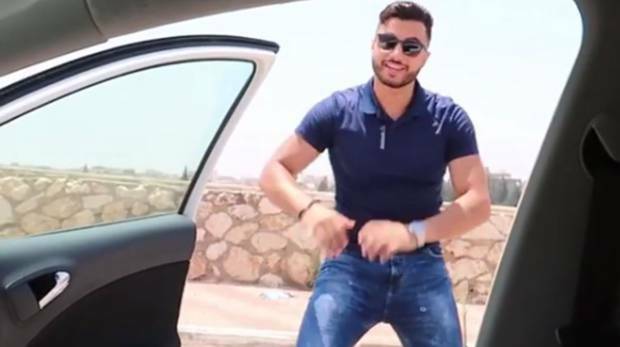 Emirati lawyer Yousuf Al Bahar told the Arabic online news website 24.ae that residents imitating the dance moves can be charged according to Federal Law No.12 of 1995, in addition to Federal Penal Code No.3 of 1987 for endangering people’s lives. “The law gives police the power to arrest any person who drives their vehicle in a dangerous manner that can endanger the lives of the public,” said Al Bahar. Reckless driving can lead to a hefty fine, imprisonment or both, according to the Federal Penal Code. Lt Col Jamal Salem Al Ameri, a traffic expert in Abu Dhabi, told Emarat Al Youm on Monday that motorists who undertake the dance challenge will be liable to the UAE’s traffic law. Al Ameri stressed that individuals must adhere to traffic safety rules and regulations, always wear seatbelts and avoid getting out of the vehicle while driving for any reason.